The discourse on genetically modified crops gained a cogent and sorely needed voice this weekend, with the publication of a captivating narrative-treatment of the subject in The New York Times by science writer Amy Harmon. The title of her feature: "A Race to Save the Orange by Altering Its DNA." An orange might seem an unlikely protagonist for a longform piece about GMOs, but the story of the citrus fruit, and a Florida grower's mission to spare his crop from a worldwide bacterial scourge, are really just vehicles for exploring the socio-scientific elements that surround one of the most contentious policy issues in recent memory. And they are remarkably effective vehicles, at that. It's no mystery that GMOs have been – and continue to be – demonized by everyone from environmental groups to food columnists. But more and more, scientists and and science writers are presenting a more comprehensive view of the issue, driving home the point that genetic modification is in fact an enormously useful technology – a new tool, as equally suited for prudent application as it is dangerous implementation, in the eternal human endeavor to modify the biology that surrounds us. Tidy stories, in favour of or against GM crops, will always miss the bigger picture, which is nuanced, equivocal and undeniably messy. Transgenic crops will not solve all the agricultural challenges facing the developing or developed world... But vilification is not appropriate either. The truth is somewhere in the middle. I invite you to share your perspective on the issues raised in my article. What are the main considerations that inform your opinion on genetically modified foods? The result is that reader comments appear "on the fly," right beside the piece, directly in line with specific sections of the story's narrative. The goal, Harmon has explained over Twitter in the days following her piece's publication, is to "generate conversation" and "get a sense of public sentiment." As a supplement to a piece that deals with such contentious themes, it's incredibly effective. Enough talk. We've included the first 900 words or so of Harmon's piece to whet your appetite (sans photos, reader comments, etc. ), but seriously. This is important. Go read the whole thing over at The New York Times. CLEWISTON, Fla. — The call Ricke Kress and every other citrus grower in Florida dreaded came while he was driving. “It’s here” was all his grove manager needed to say to force him over to the side of the road. The disease that sours oranges and leaves them half green, already ravaging citrus crops across the world, had reached the state’s storied groves. Mr. Kress, the president of Southern Gardens Citrus, in charge of two and a half million orange trees and a factory that squeezes juice for Tropicana and Florida’s Natural, sat in silence for several long moments. In the years that followed, he and the 8,000 other Florida growers who supply most of the nation’s orange juice poured everything they had into fighting the disease they call citrus greening. To slow the spread of the bacterium that causes the scourge, they chopped down hundreds of thousands of infected trees and sprayed an expanding array of pesticideson the winged insect that carries it. But the contagion could not be contained. They scoured Central Florida’s half-million acres of emerald groves and sent search parties around the world to find a naturally immune tree that could serve as a new progenitor for a crop that has thrived in the state since its arrival, it is said, with Ponce de León. But such a tree did not exist. “In all of cultivated citrus, there is no evidence of immunity,” the plant pathologist heading a National Research Council task force on the disease said. In all of citrus, but perhaps not in all of nature. With a precipitous decline in Florida’s harvest predicted within the decade, the only chance left to save it, Mr. Kress believed, was one that his industry and others had long avoided for fear of consumer rejection. 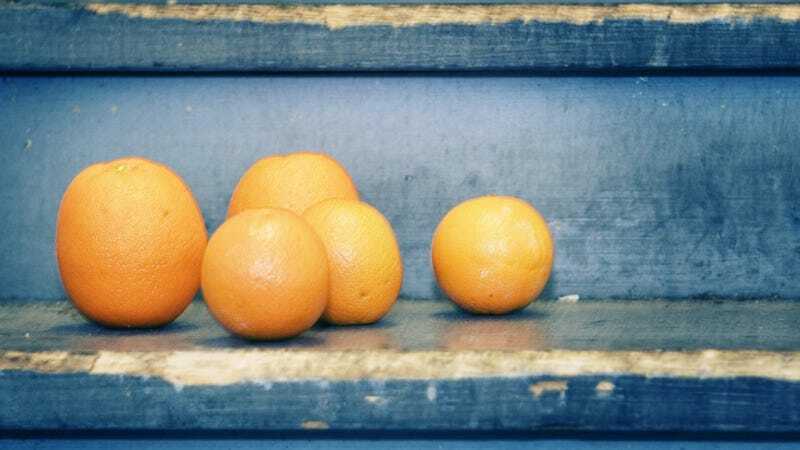 They would have to alter the orange’s DNA — with a gene from a different species. Oranges are not the only crop that might benefit from genetically engineered resistance to diseases for which standard treatments have proven elusive. And advocates of the technology say it could also help provide food for a fast-growing population on a warming planet by endowing crops with more nutrients, or the ability to thrive in drought, or to resist pests. Leading scientific organizations have concluded that shuttling DNA between species carries no intrinsic risk to human health or the environment, and that such alterations can be reliably tested. But the idea of eating plants and animals whose DNA has been manipulated in a laboratory — called genetically modified organisms, or G.M.O.’s — still spooks many people. Critics worry that such crops carry risks not yet detected, and distrust the big agrochemical companies that have produced the few in wide use. And hostility toward the technology, long ingrained in Europe, has deepened recently among Americans as organic food advocates, environmentalists and others have made opposition to it a pillar of a growing movement for healthier and ethical food choices. “Do we really want to do this?” he demanded in a 2008 meeting at the company’s headquarters on the northern rim of the Everglades. Mr. Kress, now 61, had no particular predilection for biotechnology. Known for working long hours, he rose through the ranks at fruit and juice companies like Welch’s and Seneca Foods. On moving here for the Southern Gardens job, just a few weeks before citrus greening was detected, he had assumed his biggest headache would be competition from flavored waters, or persuading his wife to tolerate Florida’s humidity. But the dwindling harvest that could mean the idling of his juice processing plant would also have consequences beyond any one company’s bottom line. Florida is the second-largest producer of orange juice in the world, behind Brazil. Its $9 billion citrus industry contributes 76,000 jobs to the state that hosts the Orange Bowl. Southern Gardens, a subsidiary of U.S. Sugar, was one of the few companies in the industry with the wherewithal to finance the development of a “transgenic” tree, which could take a decade and cost as much as $20 million. An emerging scientific consensus held that genetic engineering would be required to defeat citrus greening. “People are either going to drink transgenic orange juice or they’re going to drink apple juice,” one University of Florida scientist told Mr. Kress. And if the presence of a new gene in citrus trees prevented juice from becoming scarcer and more expensive, Mr. Kress believed, the American public would embrace it. “The consumer will support us if it’s the only way,” Mr. Kress assured his boss. His quest to save the orange offers a close look at the daunting process of genetically modifying one well-loved organism — on a deadline. In the past several years, out of public view, he has considered DNA donors from all over the tree of life, including two vegetables, a virus and, briefly, a pig. A synthetic gene, manufactured in the laboratory, also emerged as a contender. Trial trees that withstood the disease in his greenhouse later succumbed in the field. Concerns about public perception and potential delays in regulatory scrutiny put a damper on some promising leads. But intent on his mission, Mr. Kress shrugged off signs that national campaigns against genetically modified food were gaining traction. Only in recent months has he begun to face the full magnitude of the gap between what science can achieve and what society might accept.